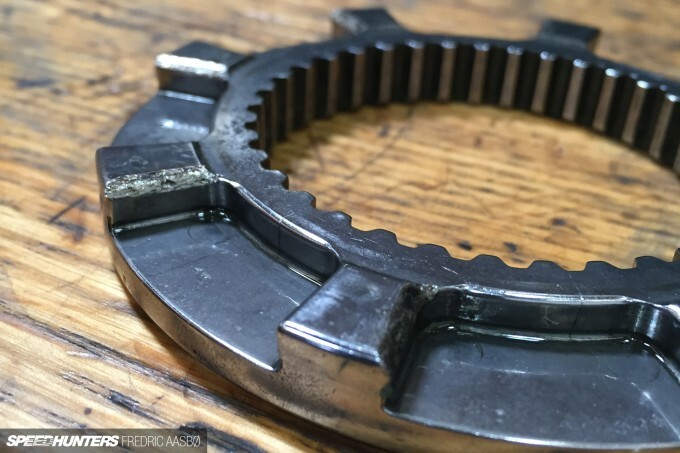 Being a casual a viewer, I will admit that it is hard to grasp all the little details regarding the difference of brake checking and mechanical issues. After putting a tremendous amount of thought of about 5 seconds, I can safely say that I believe you dude because you have an amazing haircut. With that being said, I want to see some Vaughnster Truck action AGAIN!!! I'll be there with bells on. Can't wait to see Mad Mike's new build. 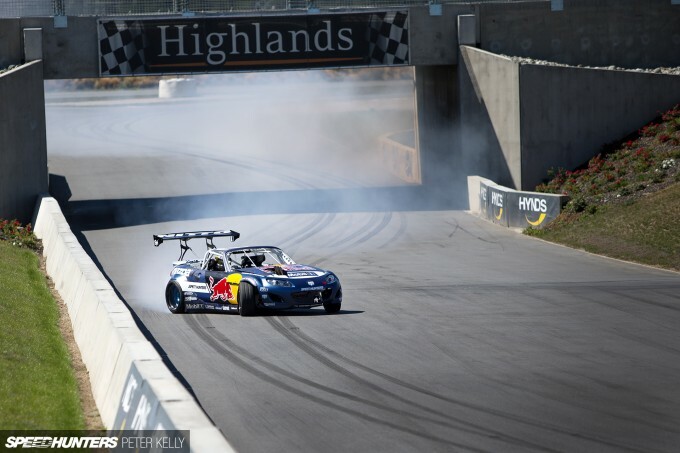 Go the rotor motor, go mad mike! best of luck to mad mikes team, looking forward to watching the mx5 shredding. rotary rules! That winning contact, hate to see wins like that, still you were very solid that day. That line argument is interesting would love to see telemetry proof comparing previous runs. I'm looking forward to you battling against Forsberg. 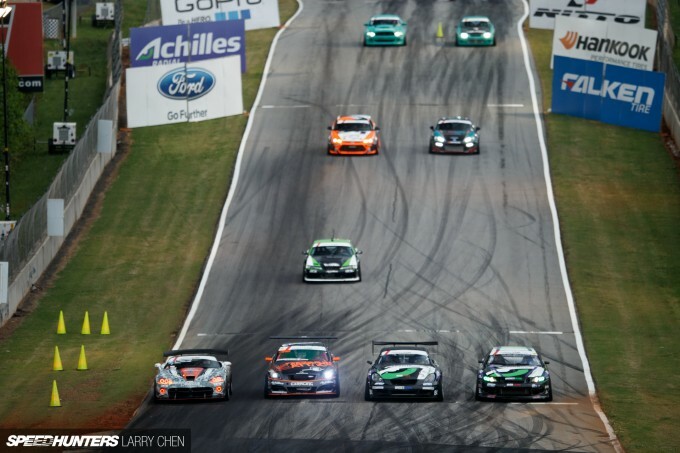 This is a hectic rivalry, similar precise style, last year's battle for championship till the very end. This year promise to be very exciting. I don't see where FD NEEDS to improve. I don't understand why so many people complain. Maybe that venues like Texas are boring because of the layout of the track so wide and open. I prefer when you need to thread the needle like in rally or in long beach. Yeah your lines are consistent, I reviewed the tape. Odi got too aggressive. 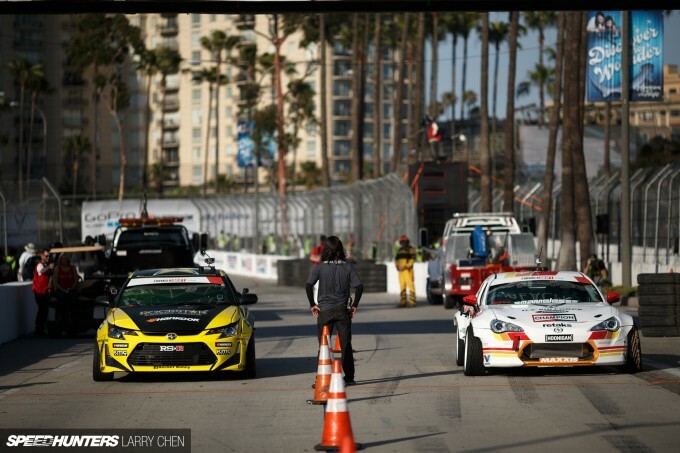 Whens that v8 rwd scion going to hit showroom floors? 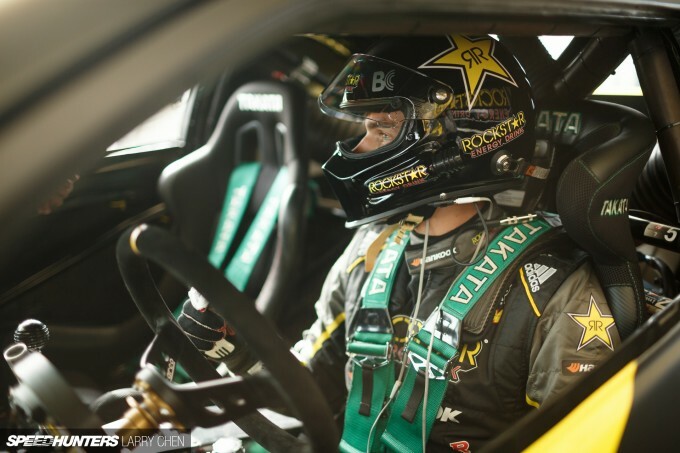 What fd and the judges need is live in car gopro footage of the driver and pov. Also other angles too so if there is contact made etc it would be clear to determine who's at fault. If you want to know how to produce a quality viewer experience look to NASCAR. 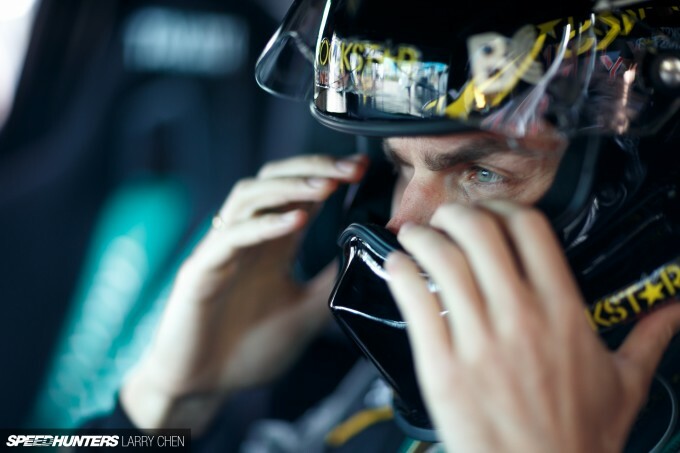 They have the best coverage, from the in-car driver interviews while sitting on the paddock, to "driver profile" videos, technical explantations about the cars themselves, and multiple commentators. They have every side, every corner, every part of the race covered. Jarod and Ryan have done a great job, and I commend them for holding it together for so many years. But as with any sport they need more people, and more angles. Ex-race car drivers, and drivers from pro2 would make quality commentators. 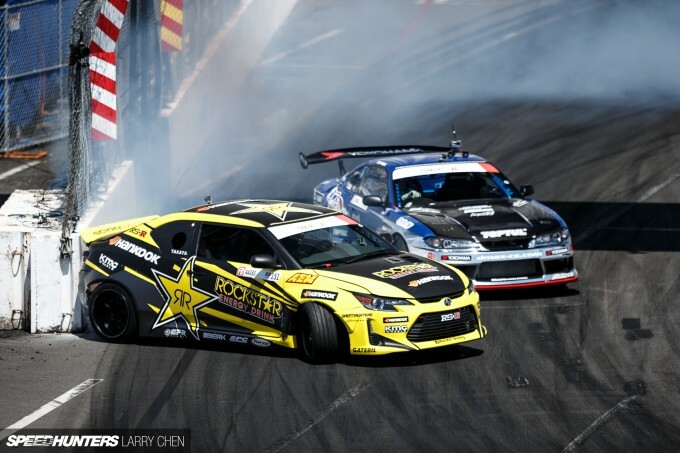 Thats how I want to view FD, just like I'm watching Daytona! There is a reason why NASCAR is the largest spectator sport in America, They know how to broadcast a quality program! They also have millions in sponsorships and big tv corporations buying the rights to show the races. 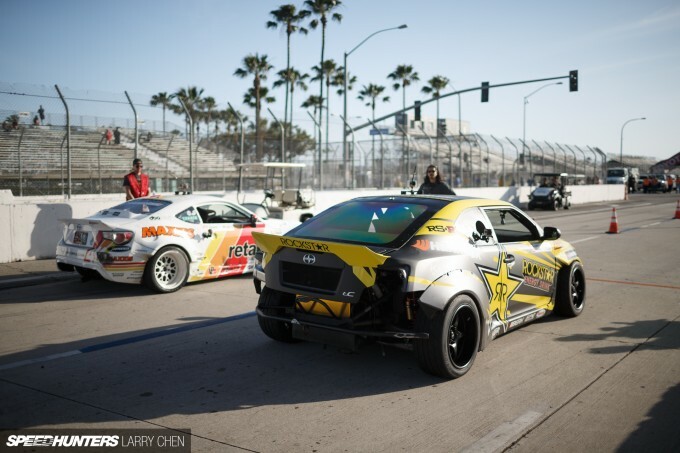 Formula D is growing and I agree they are doing th best they can but there isn't a lot of money thrown into FD. @kek Presentation mode was made just for you. CharlesSangollo This post makes a ton of sense - thanks, Charles. 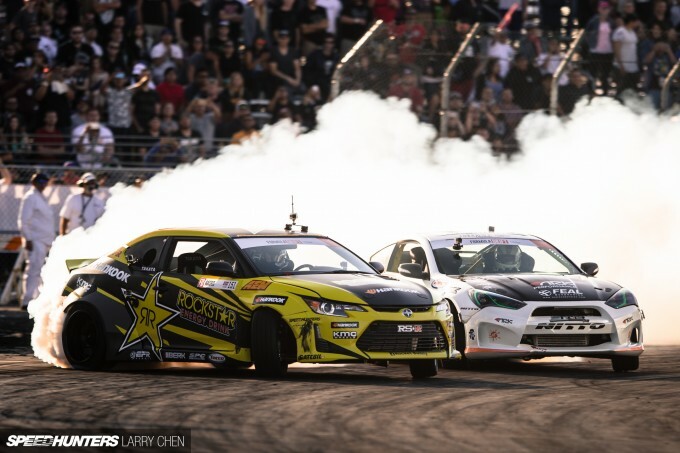 I agree with you that FD doesn't need to change and I think the drama helps drive the sport. Also, I agree that Forsberg and we have similar style (when we/I are on point, that is). Being on the same tire is a big thing, as the different tires drive very differently. I also think the Texas course could benefit from getting the spectators closer to the trackside. 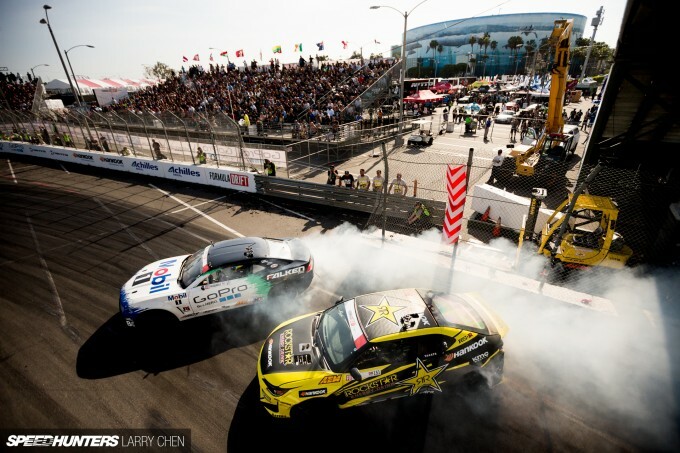 Think Irwindale VIP section, which is AWESOME for getting right up in the action (but perhaps not that great for getting the overview of the runs, like the judges are). Smiggins I don't follow - are you thinking of the previous tC1 that Tanner drove? baiermitch In car views for Livestream would be rad! TKimmell Amen! What are X-Games broadcasts like here in the US? Would certain aspects of that format fit FD, you think? @TROLLS ROYCE Lol, thank you Mr. Royce. Or is it Mrs? I watched JR today and he was looking really dialed, and he's historically been doing very well here. But who knows what the entertainer will pull out of the bag to follow up on the action from the past two years (that dirt three wheel shot of Jr from last year is pretty epic too, remember)! 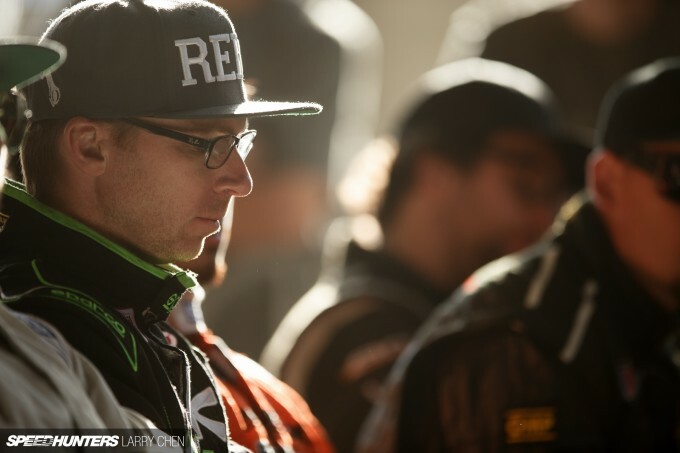 Nice write up Fredric, it's great to see drivers giving a level headed response to events. 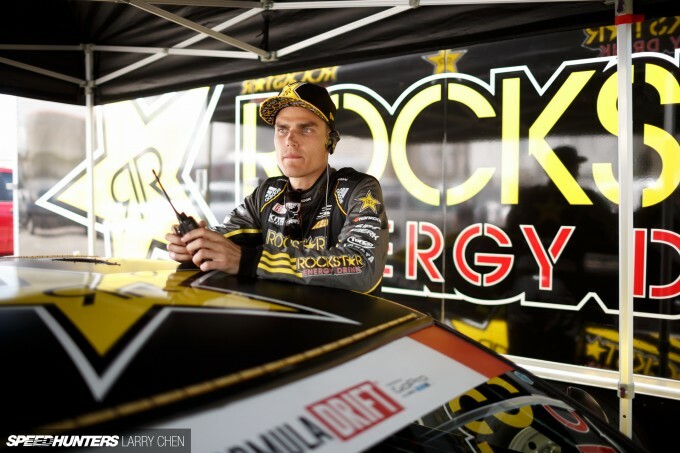 I really respect your honest and candid attitude towards the sport, which is increasing rare in top level motorsports. 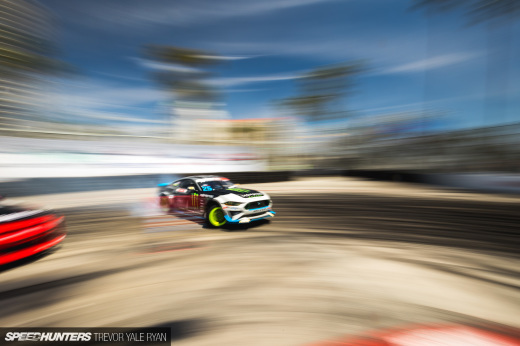 Personally I thought the coverage of the first event was a real step up this year, the increased track-side coverage was a welcome change and TBH I think it needs to go even further. I'd love to see the runs condensed a little more, and where that's not possible to maybe have small features showing some of the techinical aspects of the sport, maybe better technical specs of the cars and features on the cars and drivers. As a casual fan, you get a really strong sense that within the sport there's some great friendships and a real community between the drivers and event organisers. But they sometimes forget that the viewer isn't there week in week out, and doesn't know each driver and car personally. So some features and background on the driver and car and putting more drivers in on the commentary or getting them involved track side would be great, and really help the coverage feel more inclusive. Like someone has said here already having a commentary box - in car communication on the live stream would be great, so Ryan and Jarod could speak to the guys while they're lined up for their runs. It works great for the BTCC over here who will speak to drivers on their warm up lap, and gives a great insight in to the drivers frame of mind right before the race. Onboard live cam would be awesome! But isnt there possible for more cameras, like a splitscreen at the same time on livestream? 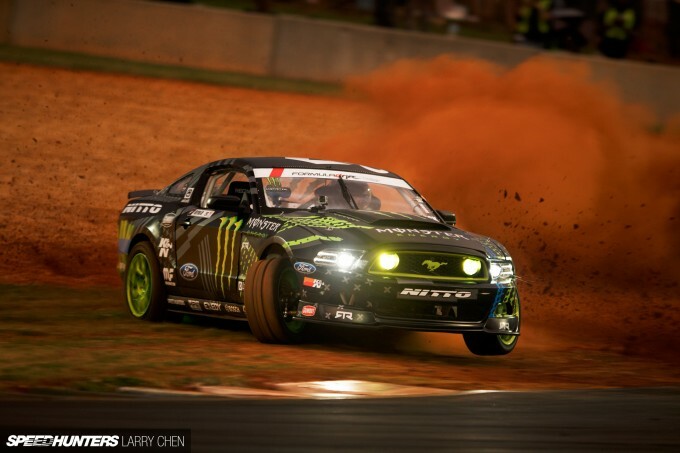 I mean, if the spectators, the "non-drift-nerds" are going to see and understand the whole picture of the qual, tandems and winnings, they need more angles to look at it, in a basic mode. Like telling your mom the car needed bigger brakes for bether braking, and she says ok, good. And then telling David that the rear brake bias is off by an nod on the e-brake. then he would just fix it. The "drama" and action is right where it schould be, on the track, all you need is to get it out in the screen. Meaby "Bo" needs to take a job in FD ? Absolutely, the X Games has fantastic coverage. They make the complex sports seem simple for the viewer to understand. I really believe FD needs to have guest commentators. The x games always has ex competitors, and known people in the action sports industry as a part of the media team. The other frustration with FD live stream is the time between each run. I understand it takes time to get back to the start line and get set up, but that times needs to be fully taken advantage of. If you get the chance, watch some late 80's IMSA GT races on YouTube. That's the epitimy of quality coverage on a limited budget. You always had good words came out of your mouth. Congratulations on your winning Fredric! I agree that live in-car footage seems like the best single improvement. In situations like this, the spectators or judges could benefit from seeing what the driver was doing. It would have also helped if there was telemetry data for throttle, steering and brakes, and/or a camera showing the foot pedals. Even when there isn't any drama to sort out, in-car footage helps capture the sound of the engine and tires more clearly. 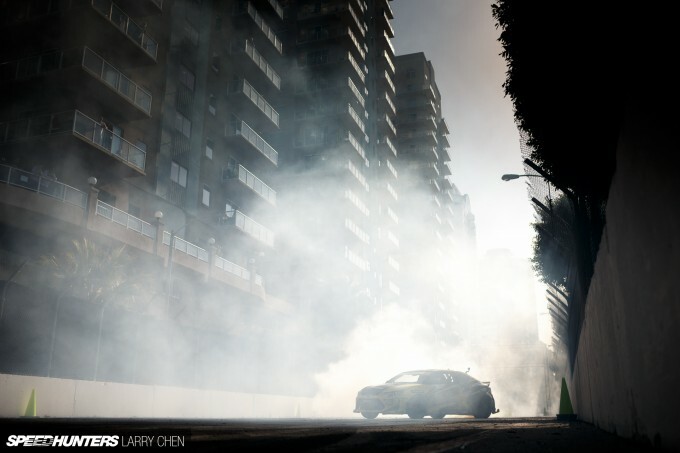 Personally, I don't like the huge amounts of tire smoke that have become more and more common over time. I'd rather be able to see both cars clearly. It might be fun to see longer runs, or somehow change the course design up to have more transitions. When watching online, my favorite part is seeing the cars stay near each other during transitions from left to right or right to left. When watching live at events, my favorite part is that you can somehow get a better feel for how close the cars are to the wall and how fast they are going. Great article!! 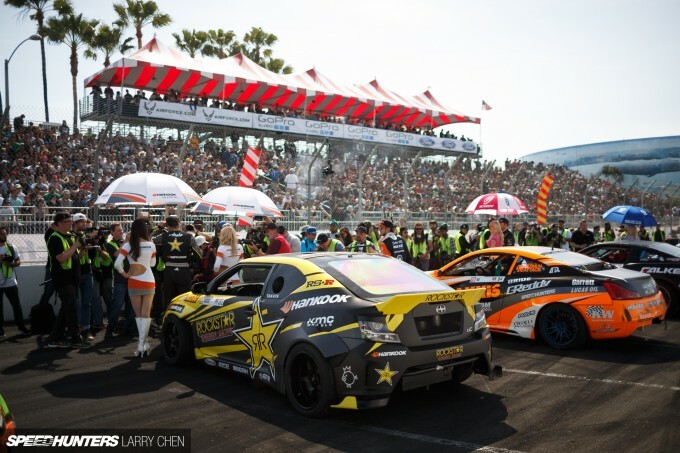 THIS is one of my favorite things about drifting, the way the drivers / builders interact with the fans and community. I definitely agree that FD needs to do something about camera angles. For a few years now, I've always thought it strange that all the cars have so many damn GoPros on them, yet the average person rarely, if ever, gets to see that footage. I realise a lot of it is sponsors/adds...but like Aasbo said, there's got to be a way to use some of those cameras to assist the judges. Fredrick, what do you think about a Drone with a GoPro, flying directly above the two competing cars? Would an overhead angle help the judges? I also agree with other posters who have made the point that FD needs more in depth coverage of the actual sport, and less repetitive adds / Ryan & Jarod rambling (no offense to R&J, they do a pretty good job for the most part). 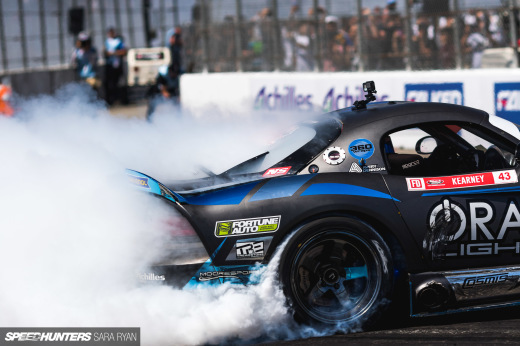 Forsberg, Wang, Bakchis all own their own suspension companies...feature that!! 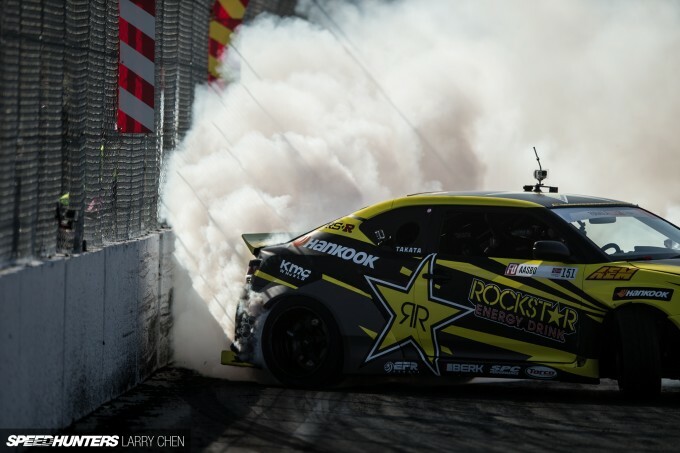 It's good for the sport of drifting as a whole, and it's good exposure for those shops. 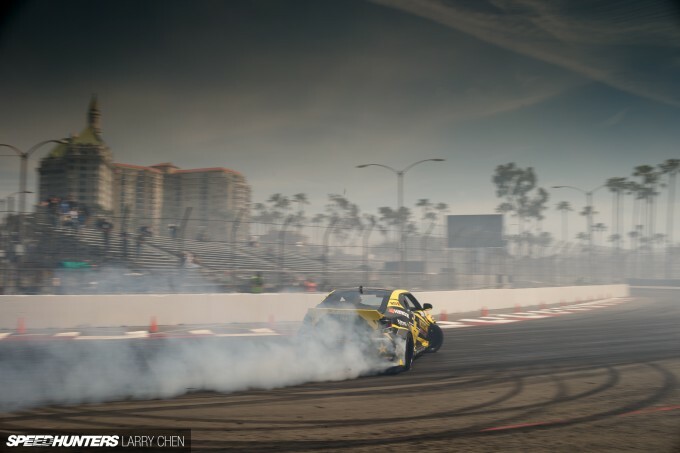 Spend more time talking about the intricacies it takes to actually successfully drift an FD section. What adjustments do teams make to the cars for various events. No other form of Motorsport in the world has as much diversity in terms of the chassis and power plants that are being used...feature that!! One thing I'll put out there is that I really hope FD doesn't follow the trend of using mushy personal stories to fill time gaps. I'm all for driver profiles, but I really don't care about somebody's garden or favorite dog. I watch drifting to learn more about drifting lol. Sorry, I'm rambling now haha. Good luck in ATL Fredick!!! Robo_No1 This is awesome input! Having the Livestream feature the various sponsors products in an interesting, educating way would be a great way of organically include their products - perhaps in a much more effective way than re-airs of ads. FD - hear, hear! And thanks for the kind words! TKimmell I'll try to get to watch those IMSA shows. Also, re: time between the runs: Perhaps it's time to 1) ditch the 5 minute rule (which always ends up being 20 minutes after everything is said and done and 2) require drivers to get back to the line faster. Twitch_6 Good points man! And thank you! 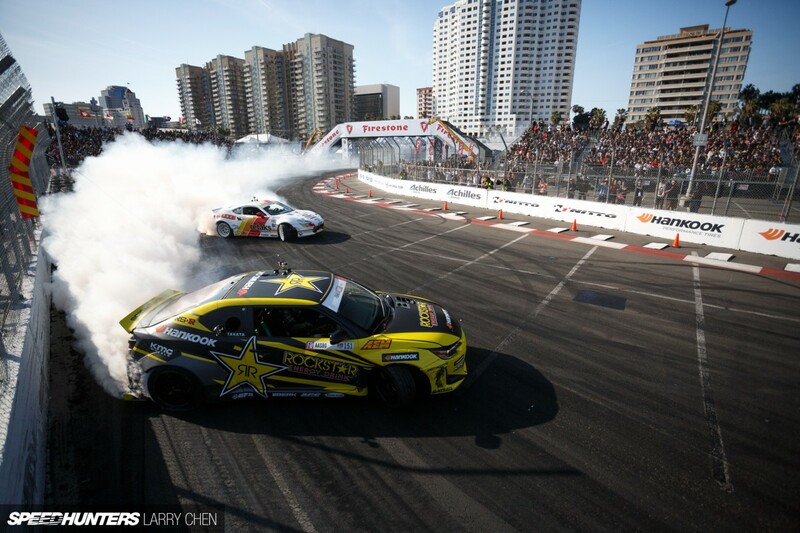 I think a drone view is perhaps the best vantage point for watching drifting. You know when you play racing games and watch the replay from bird's view to watch your lines? Exactly. The FD TV show already has a drone hovering over the track that shoots footage for the CBS production. I think the problem with getting that footage onto the Livestream is that it would be live... That's a whole different animal, because you need reliable video transmission, a bigger mixer, bigger, more expensive and heavier equipment and so forth. I was showed around the IndyCar TV production center at the Long Beach Grand Prix and although that is a much bigger operation (25 cameras for live TV production vs. Perhaps 10 cameras for online Livestream) it dawned on me that once something has to go live, it's a much more serious investment. I really hope FD gets to that level with their Livestream though! Yea i think the whole judge this meeds to toned down especially in qualifying brcause you can just but proximity sensors on the wals or on cones? O and is pro2 on livestream or anything ? Drifting comps in video games is exactly where I got the third person camera angle idea from (not claiming it as my own idea though lol). The third person view makes things infinitely easier to see what exactly is going on, as opposed to trackside cameras. Also, not implying that any of these suggestions could be applied overnight. It's something to work towards. CharlesSangollo People complain because they are people. Remember, its a hell of a lot easier for someone to throw a good insult instead of a good compliment. They also want to look cool to their internet friends by saying things like, "it needs to go back to 2004" because its a backhanded way of claiming they have been into the sport since then, know better than the FD organizers do, and overall like they know jack squat. My only improvement I could ask for is more feedback from the judges over the mic when it is a close decision, or let us actually see the extra angles the judges claim to have available to them. Lack of transparency was causing a ton of distrust when TAngelo was judging and it looked like DA got every single call their way for about 3 years. Now go crush it Fredric. This is your year. prazzi Interesting suggestion, but what's the benefit of knowing that data? I think it's easy to run into "data overload". FredricAasbo TKimmell Please, do NOT go that route. The FD TV show is already dumbed down to a ridiculous point, and I don't need crap like completely uneducated airheads babbling. FredricAasbo prazzi I love the idea. Its a much better idea than showing the judges inclination throughout a run (that was a terrible idea). I understand about data overload but right now we have none, so three points of data is not much. 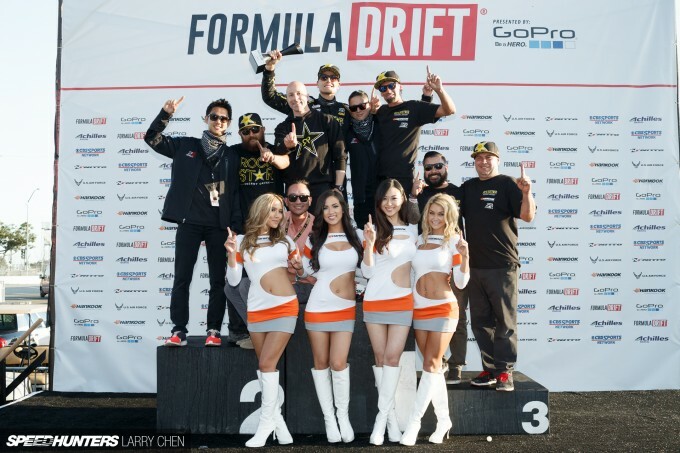 Instead of that girl now being used for interviews, how about someone that knows about drifting? @kek HAHAHA!!! Me too! Which one was your favorite? I couldn't decide between #1 and #2 (from the left). D1RGE EXE She isn't doing bad and she's actually learning fairly fast. It may take a couple more rounds for her to become the "expert" everyone wants her to be but until then just give her a little slack. She's trying. 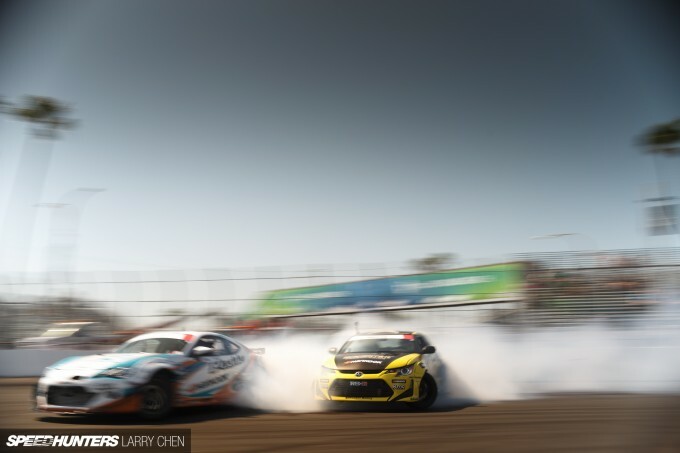 There has been arguments about things like this in Formula Drift since day one of the live stream and the answer has always been bad camera angles. If that was the only problem then it would have been fixed by now. I do agree with the more camera angles idea but also I believe that there should be more interaction between everyone. Conrad Grunewald said this morning that he wishes that the drivers meeting was live streamed so that the viewers can see exactly what the judges are looking for and what the drivers concerns are. I believe that this can help with a lot of arguments over things like the late entry protest that happened at Seattle last year or the cones in road atlanta. Jarod Deanda and Ryan Sage try to project what is happening but I really think it would be easier to hear things direct instead of having a giant game of telephone. I also believe that all drivers should have to send in a post-event report that is released to the public so that everyone can read or hear exactly what went on from the drivers perspective like at Seattle again last year (a lot of things happen at seattle apparently) when Darren McNamara went against Dean Kearney and there was contact on the roll. There was a lot of controversy over what happened because of the fact that everyone saw everything differently so no one really knew what happened until two months later when all of the videos by the teams and drivers had been released on the subject and even then there was still a lot of controversy. Jarod said today before Round 2 tandems,"don't leave it in the judges hands because then you'll get a different result." Well it is exactly the same with the fans. Don't leave the decision in the fans hands because then it will be perceived differently. Give the fans all of the correct information so that it is perceived correctly the first time so we don't have to keep going back to make sure that we are right. Summary just in case you didn't want to read my whole rant on the subject. Everyone needs to communicate the facts to the fans in a timely, well organized manner more often. apieceobacon D1RGE EXE There are many women in those pits that could and would do the job better. Beyond the fact of why did someone feel they needed an empty but pretty head to do interviews? Don't get me wrong, I love women in motorsports. I hate the way women are portrayed in motorsports. I would rather see a woman with grease under her nails than paint on them. If you're gonna put someone on the finish line to interview drivers and ask what happened, I want them to ask intelligent questions. 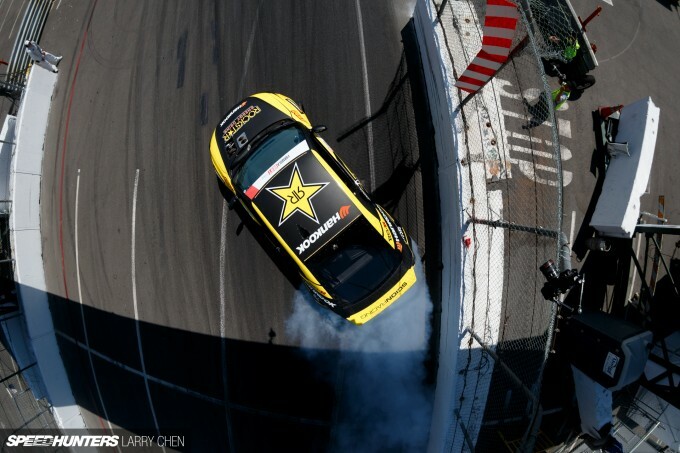 Mr. Aasbo, all I really have to say about this is that you have an awesome helmet. More camera angles could be shown but FD chooses not to show them for whatever reason. Watch Atlanta 2015. Every once in a while they would show a different camera angle that they wouldn't normally show that could eliminate a controversial call. But they would show it when you really didn't need to see it. Still cool to see it though. Then when there was a controversial call and that camera angle would solve that controversy they wouldn't show it. Also there needs to be more explanation from the judges especially from controversial calls. Fredric, that feeling as though you're losing touch with the fans kinda comes with the territory. Up to last year you were considered 1 of the top underdogs. People love an underdog story, even if they have their favourites. However, this year you are not seen as an underdog but as an as-yet-to-be-crowned champion. So don't worry about it too much, all you can do is keep going at it at "full stumt" (i've coined that phrase and demand royalties); give it your regular 110%, put on a show that no-one can deny your efforts and be true in your actions. There's always gonna be someone who doesn't watch the bigger picture and/or make a biased observation. To answer your question I do believe that FD should show small video clips (in between the ads) of what will score the judges' max points. Maybe even a telestrator and readily available onboard data. AMEN. Thanks a lot for this reply. Full stumt - I absolutely love it. Thanks man!